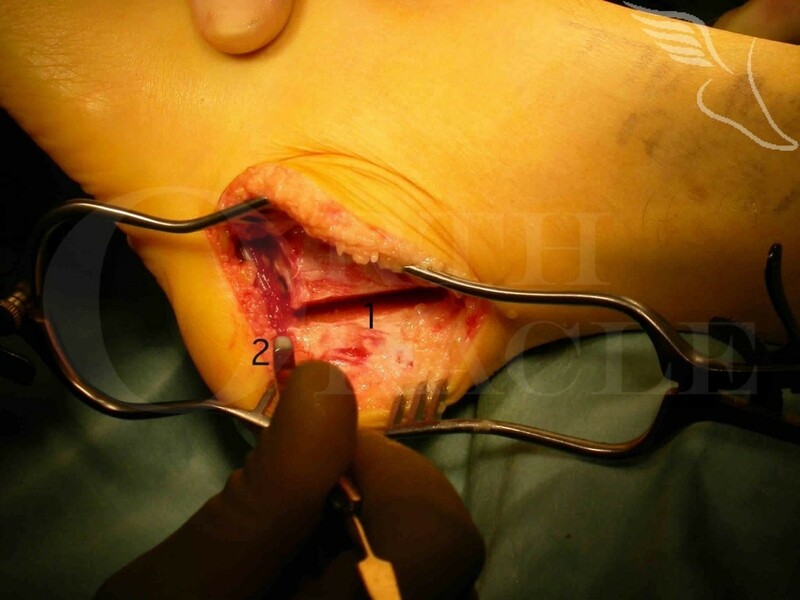 Learn the Calcaneal osteotomy (open technique using Atkins approach) surgical technique with step by step instructions on OrthOracle. Our e-learning platform contains high resolution images and a certified CME of the Calcaneal osteotomy (open technique using Atkins approach) surgical procedure. A Calcaneal osteotomy is a key component of the correction in many plano-valgus and cavo-varus deformities . Most common for both indications is to perform the osteotomy through a lateral approach ,of which there are several varieties. There are also various osteotomy designs to be considered for various specific indications. The most utilitarian is simply the oblique Calcaneal osteotomy detailed here , exposed through an Extended Lateral (Roger Atkins) approach.